Scholarships has raised $ 74,598 from 94 gifts! A KU education is a one-of-a-kind experience. The relationships you make, the experiences you have and the skills you learn go with you for the rest of your life. One of the most important factors for students debating a KU education is the availability of scholarships. As state support continues to decline, scholarships become even more critical. 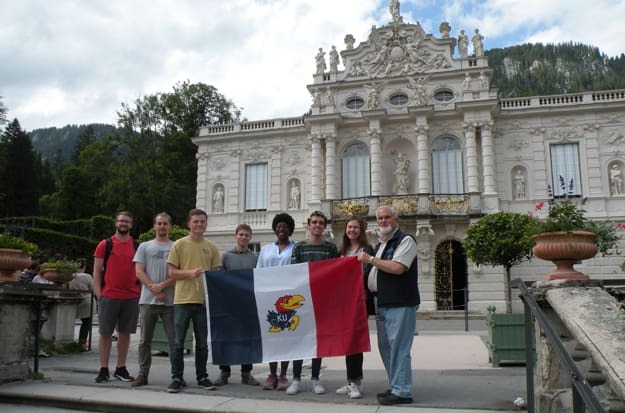 Study Abroad Scholarships — Nearly 30 percent of KU students study abroad. The opportunity for Jayhawks to visit new lands and experience other cultures is invaluable to their education. Scholarship Hall Scholarships — KU is home to 12 unique scholarship halls, which are much more than just a place of residence. Students have many living options, but nothing compares to the camaraderie, cooperation and strong sense of family experienced while living in a scholarship hall. Need/Merit Based Scholarships — Over 59 percent of KU students receive renewable scholarships. As our university continues to attract new students from all walks of life, these funds are critical for affordability. Every gift makes a meaningful difference for our students. Thank you!